When your company name is synonymous with your most famous product, how do you assert your modern technological relevance beyond a simple, copied page? Partner with storytellers who embody the idea of the “modern office,” and create a web experience that demonstrates what your technology can do. 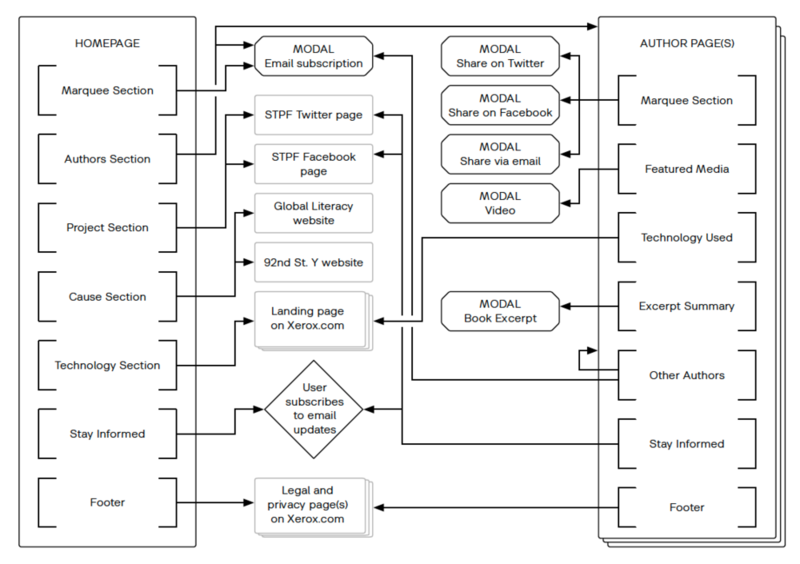 Created a user flow and information map to organize information as the audience navigated the website, engaged with content, downloaded their copy of the authors’ ebook, and (hopefully) converted over to Xerox.com. Designed responsive wireframes to ensure a smooth experience as users engaged with different types of media (book excerpts, videos, audio casts, etc.) across multiple devices. Built an interactive prototype to test functionality and receive feedback from stakeholders. Wrote custom CSS code to ensure that the website properly manifested the creative vision.